If you live in Los Angeles, are going to Los Angeles or need an excuse to go to Los Angeles…well, then you’re welcome! 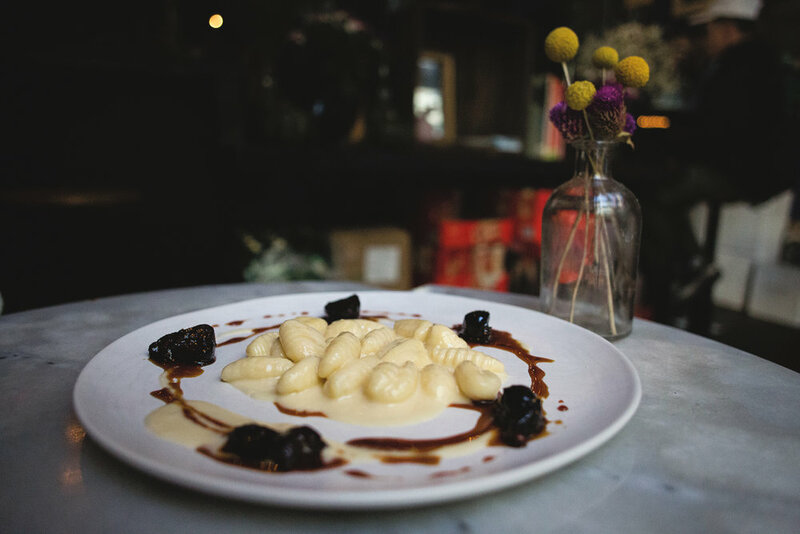 Cento Pasta Bar is one of the best places to score my favorite carb (pasta) FOR DAYS! This gem located in DTLA has a rotating menu of five items; one appetizer and four pastas. Everything is simple, but perfect. This week’s appetizer was Burratta with Fresh Bread (shown above). The pasta specials, and yes I ate all four of them, are all shown below. We enjoyed Braised Beef Short Ribs with Gnocchi, Spaghetti with Roasted Beets, See Urchin Spaghetti with Saffron AND Gnocchi Gorgonzola with Balsamic Glazed Figs. The last dish was one of the best things I’ve ever eaten. It’s like a gloriously bougie adult mac and cheese, but better. Thank you to the chef and owner Avner Lavi, AKA Pasta GOAT.